The F-Type is Jaguar’s first true sports car since the famed E-Type (better known as the XKE) went out of production back in 1974. in the mid 1970s. 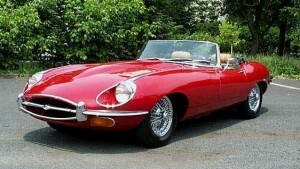 The E-Type regularly appears on “Most Beautiful Car” lists and many expected the F-Type would echo the iconic E-Type. However, Jaguar wanted to break new ground instead of going retro. 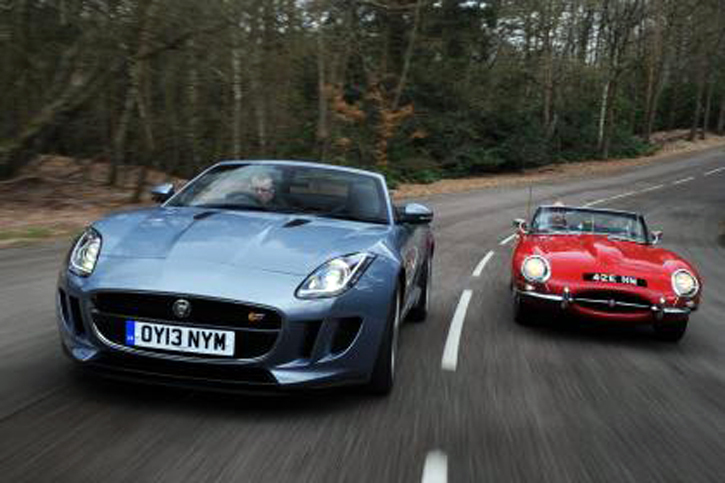 Although the new F-Type follows contemporary Jaguar design trends, there are some subtle links to Jaguar’s past. “Lyons Line” defines the shapely XKE. The most obvious link to the E-Type is the power bulge on the hood. More subtle is the “Lyons line”, named in honor of Jaguar’s founder, Sir William Lyons. A Jaguar’s fender line typically rises above the front wheel, dips to the rear of the door, then rises and falls over the rear wheel. This has been the style of most Jaguars from the Thirties on and it’s present in the F-Type. The headlights and taillights also subtly suggest the E-Type. 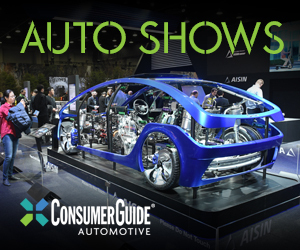 Both cars have fingernail-shaped glass covers, but while the E-type covers housed conventional Lucas headlights, the F-type’s Xenon headlights are styled to resemble a Star Wars tie fighter. Wayne Burgess, Jaguar’s Production Studio Director, freely admits the designers tapped their inner geek for that one. The E-Type taillights featured a round reflector with lenses tapering to a point. The F-Type taillights also suggest that shape. Between the E-Type’s taillights were twin chrome tailpipes. The six-cylinder F- Types have two large chrome exhaust tips in the same place. However, V8s are identified by quad exhaust tips divided in pairs. Inside, the toggle switches of the E-Type’s dashboard are repeated on the F-Type’s center panel, but in a more crash-friendly form in line with modern safety standards. Reaching farther back in Jaguar’s past, the racing D-Type’ sseparation of the driver’s cockpit from the passenger areais suggested by a substantial center console edged on the right by a prominent grab handle. 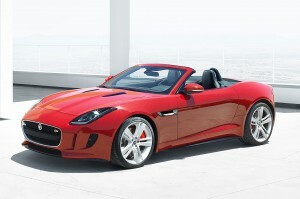 Jaguar resisted designing a modern-day E-Type, but the F-Type’s designers couldn’t resist subtle nods to the past. The result is fresh, but there are bits of Jaguar’s past if you know where to look. What Was The Harold and Maude Car? What Did The Saint Drive? Written by: Jack Stewart on August 5, 2013.on November 15, 2018. 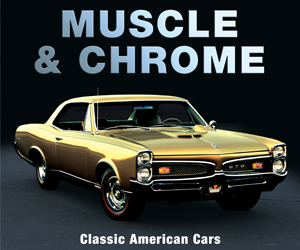 What Was The Zimmer QuickSilver? What if GM, Hudson, Chrysler, and Others Had Designed the Cord 810?